"kind of English story told over and over in fiction and film but rarely in works of history..."
And it all began with "a quarrel between neighbors." In 1918, Bill and Rose Gooding moved into the town of Littlehampton, at No. 45 Western Road. Rose's sister Ruth Russell shared the house with them and their daughter Dorothy; Ruth had two children of her own. No. 45 shared garden space with two other houses: No. 47, the home of the Swan family, as well as No. 49, the "police cottage," where police officers and their families could sublet the house which was rented by the West Sussex Constabulary. At the time "the libels started flying," the police cottage housed Constable Alfred Russell and his family. At first, Rose Gooding and Edith Swan (age 30 and living with her parents), seemed to get along well, but an incident in May of 1920 led Edith to call in the National Society of Prevention of Cruelty to Children against Rose, in a complaint of "illtreating a child." The inspector who came out in response to Edith's complaint found nothing amiss, but it was just after his visit that "a flood of filthy postcards" began, with the bad language escalating each time; since they were signed "R--", "R.G.," or "with Mrs. Gooding's compliments," the assumption was that the letters had come from Rose Gooding in retaliation for Edith's complaints. Rose consistently denied that the letters had been her doing, and the police were satisfied, but that wasn't enough for Edith -- eventually she consulted a solicitor and instituted a prosecution against Rose for "criminal libel," which ultimately resulted in a two-week imprisonment for Rose, as well as her being responsible for keeping the peace for two years after her release. While I won't go into details here, mainly because this bizarre story really has to be experienced on one's own, Rose found herself back into prison, appealed, and her case was reopened, along with a major investigation to find the true culprit which reads at times like something you'd find in a work of crime fiction. 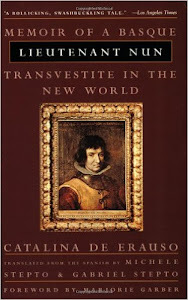 "outlandish insults form part of a larger story of individuality and originality in unexpected places." "In novels, I have noticed, anonymous letters of a foul and disgusting character are never shown, if possible, to women. It is implied that women must at all cost be shielded from the shock it might give their delicate nervous systems." Given the "foul and disgusting character" of the Littlehampton poison pen letters and the truth behind who actually wrote them, well, I couldn't help but inwardly giggle thinking about that particular passage. 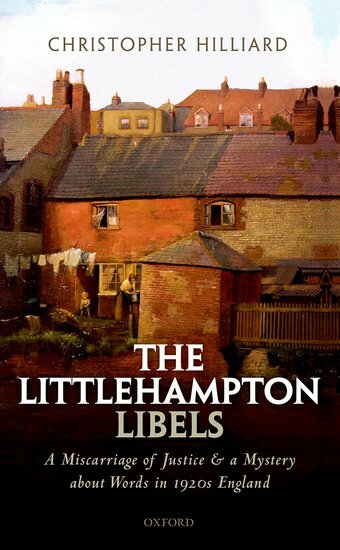 Obviously my short post here just scratches the surface of this book, but The Littlehampton Libels is a phenomenal work of history, giving credence to the idea that quite often truth is stranger than fiction. I knew it was going to be something right up my alley when I first read about it, and I don't regret forking over more than I generally pay for a book to read it. I can't speak highly enough about it.